Following the departure of some of WhatCulture's key staff members, What Culture Pro Wrestling will also be undergoing some changes before the end of the year. The promotion announced today that they would be rebranding as Defiant Wrestling in December. The first show under the new name will be a live iPPV called "WeAreDefiant" on December 4th at the O2 Academy in Newcastle, which will air on their new Access Defiant on-demand service and will be available on the FITE app. 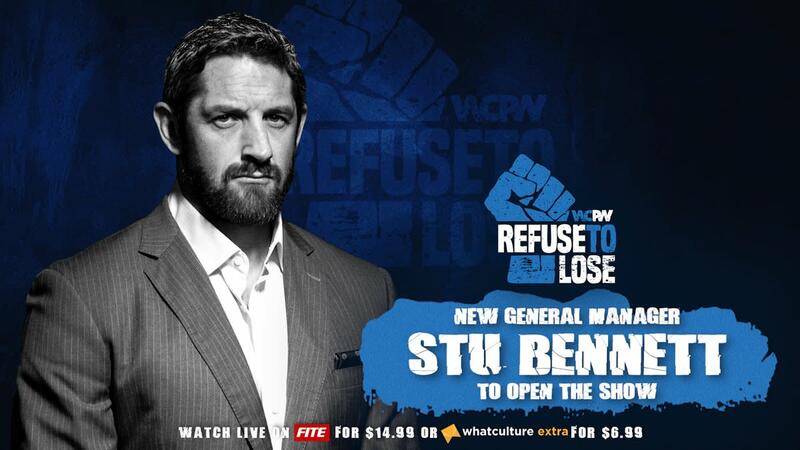 Stu Bennett, who was formerly known as Wade Barrett in WWE, was revealed to be the promotion's new on-screen general manager after former authority figure Adam Blampied was among those to leave WhatCulture earlier this month. Bennett will open their Refuse to Lose iPPV broadcast on October 2nd, which will be the last show branded as a WCPW event. Refuse to Lose will also be the last show offered on the WhatCulture Extra service, with old WCPW events moving to Access Defiant on December 1st and WhatCulture Extra continuing with other WhatCulture website content. Tapings for their "Loaded" YouTube show will take place in Manchester on October 3rd as well. WCPW's Twitter account noted that Defiant Wrestling will continue to broadcast a free weekly show on YouTube and wrote that more details on the rebrand will be made available in the coming weeks. With backing from WhatCulture's website, WCPW entered into the UK wrestling scene last year and regularly brought over big international names. Dave Meltzer chronicled some of the problems they've faced with their business model and YouTube's demonetization of wrestling content in the September 25th edition of the Wrestling Observer Newsletter.